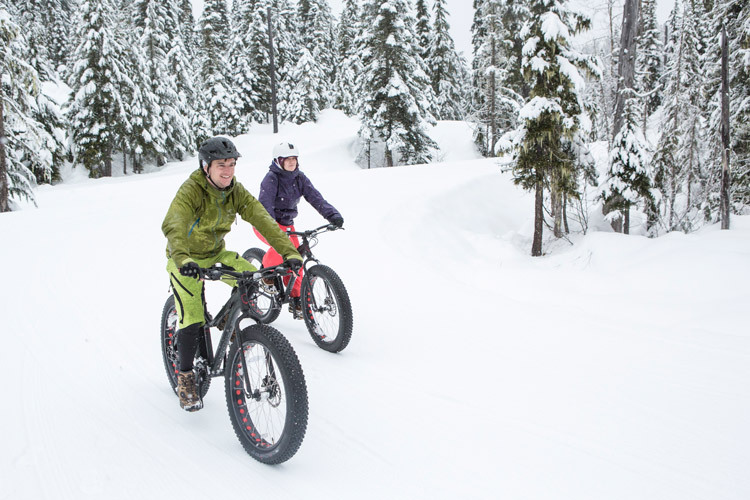 Heads up – we’ve updated this post in December of 2017 to reflect changes in the activities out in the Callaghan as Fat Biking and Bromley Baseboarding are no longer available. 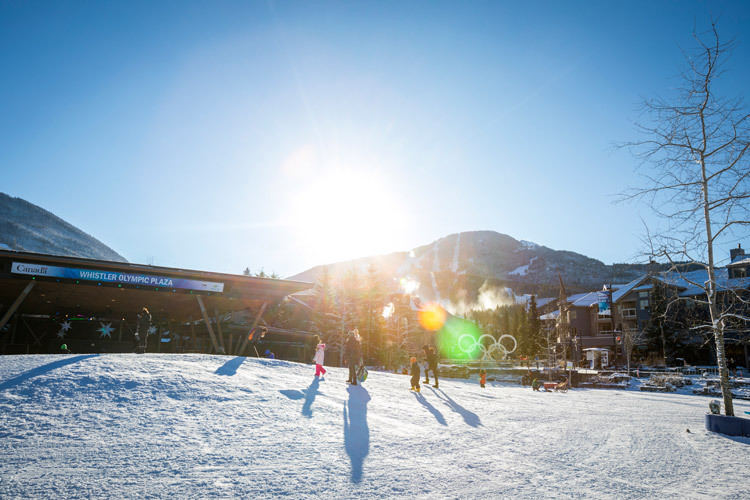 Just south of Whistler you’ll find the turnoff for the Callaghan Valley, home to the Ski Callaghan Nordic Centre which combines the terrain and facilities of Whistler Olympic Park and Callaghan Country into one spectacular outdoor playground. The area is well known for the extensive network of cross country skiing and snowshoeing trails but that’s just the tip of the iceberg when it comes to the activities on offer. 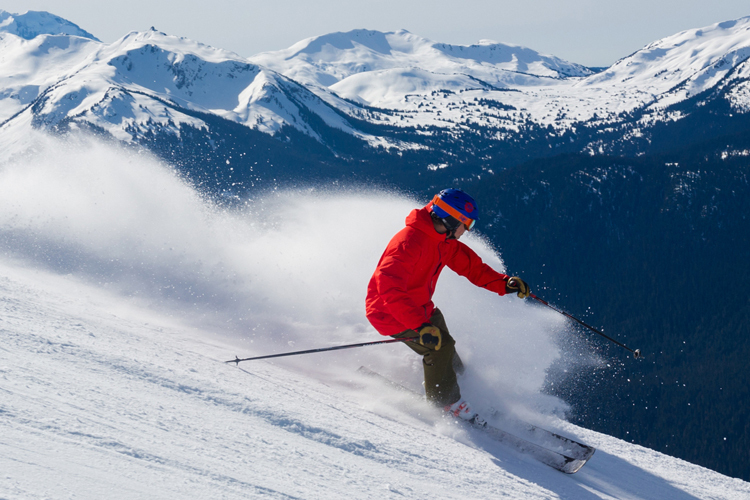 Here’s a quick list of things to see and do in the Callaghan Valley beyond the world of nordic skiing which make a trip to the area more than worthwhile. 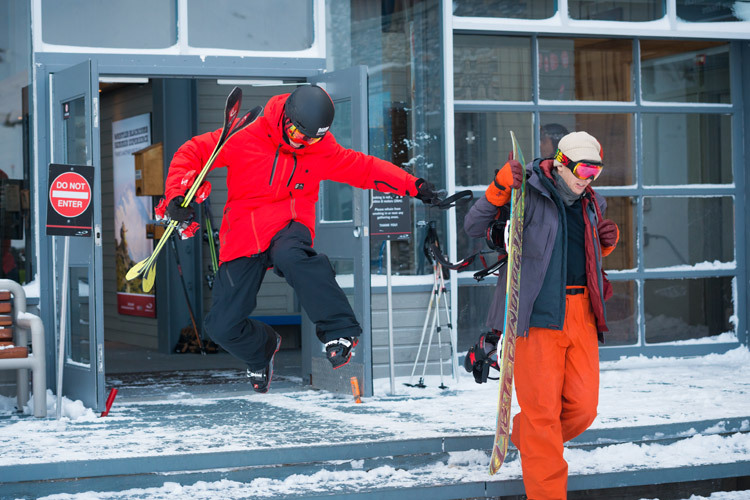 You don’t need to go nordic skiing to try this winter sport. Whistler Olympic Park offers Marksmanship lessons designed forbeginners where you learn to operate the special biathlon rifle. Insider Feet Banks tried the sport one cold winter’s day – read more about his experiences here. Whistler Olympic Park has a dedicated sledding hill and has sleds and helmets available on site and rental is free (helmets are mandatory for the kids). You can bring your own saucers, carpets or toboggans too if you have a sliding vehicle of choice. Use of the tobogganing hill is free with park access which is charged by vehicle — so the more kids you take the better! The day lodge is close to the sledding area if the need for food, washrooms or warming up arises. For just the price of a vehicle entry, you can pop out to the Callaghan for a spot of winter sightseeing. Depending on the day there may be an event happening to take in, from ski jumping to fast paced racing on the Olympic quality nordic trails. 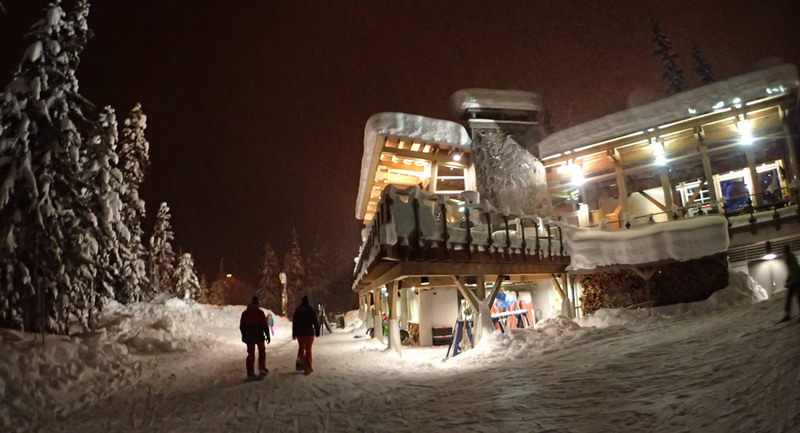 The Daylodge is an excellent spot to warm up, with a cafeteria serving delicious food with views across the snow-covered valley. Anyone can sit and watch a waterfall in summer but a winter waterfall can be quite spectacular. Depending on the weather they can be either raging torrents, dramatic formations of ice and snow or both. Alexander Falls is a 40 m tall waterfall with a viewing area easily accessed from the road, with just a short walk in from the parking area (note that this may be snowy or icy – good footwear and caution required). Look for the exit before the Ski Callaghan gates. For a different view of the waterfall you’ll need to get your snowshoe on. 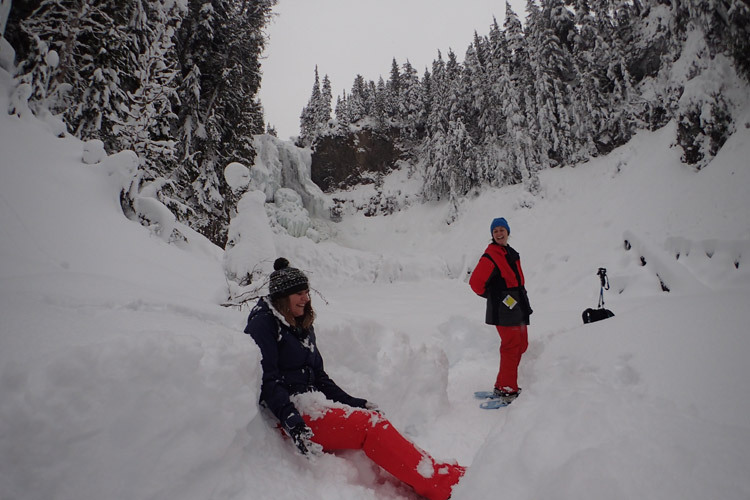 Head to the nearby Alexander Falls Ski Touring Centre, buckle into snowshoes and take the Alexander Falls loop to see the waters from the base. At only 2.5 k it’s a short distance, but there are steep sections on the trail so it is not recommended for a first-time snowshoe trip. This is also one of many trails in the Callaghan where dogs are welcome and allowed off-leash – if you like to ski or snowshoe with your furry friend, check out the map for dog-friendly trail options and bring them along! 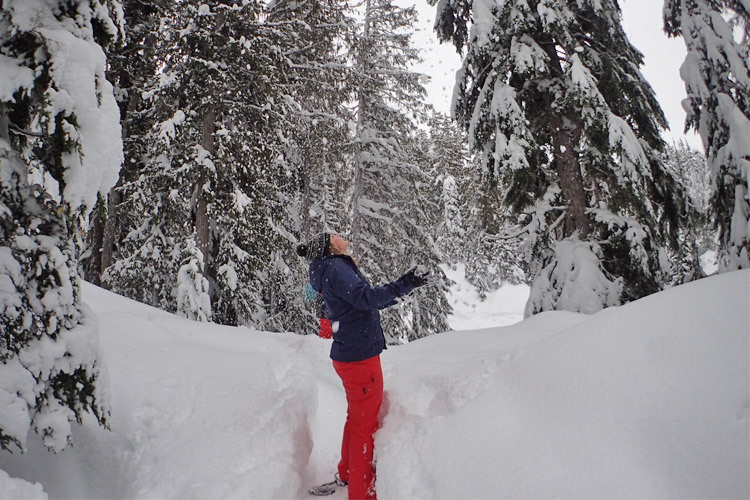 Thanks to its elevation and location the Callaghan Valley enjoys exceptional snowfall, making it a fantastic spot for backcountry day trips with access starting from the Alexander Falls Ski Touring Centre. 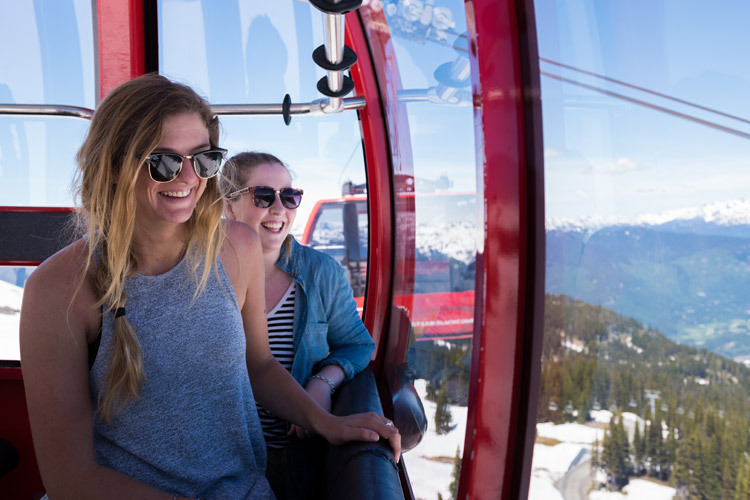 There’s also a weekend snowcat shuttle service which can whisk experienced backcountry enthusiasts up to Callaghan Lake for touring in the Upper Callaghan Valley. 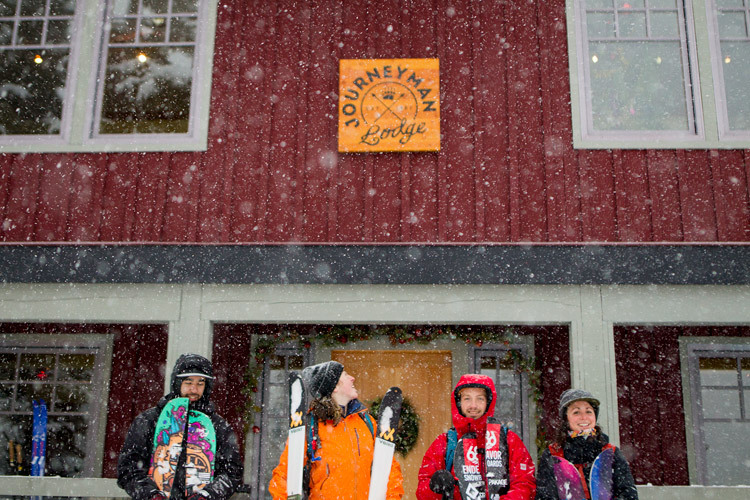 For those looking to spend a little more time in the wilderness, the Journeyman Lodge is a full service backcountry chalet accessible only by xc skis, touring skis or snowshoes. It’s a ‘rustic-luxe’ haven offering food, accommodation, hot showers and a wood-fired Scandinavian Sauna — all set in the pristine silence of the backcountry. Use it as a base to explore the nearby xc trails, go ski touring or simply to escape the real world for a while. Be warned —there is NO TV so you may just have to revive the lost art of conversation…or silence. Pip has somehow worked her way around from being a snow-and-bike bum to holding a real job while also being outdoors as much as possible. She’s collected scars, bikes for (almost) every occasion, a small trail dog and a love of craft beer plus a rudimentary understanding of skiing, snowboarding, sketching, and the art of chairlift conversations. 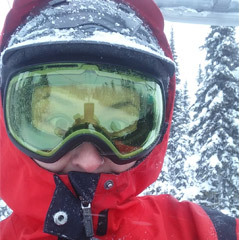 She currently believes a combination of gravity, snow, dirt and rad people are what make Whistler tick but investigations are ongoing.